i had such a wonderful time getting to celebrate a good friend and an incredible writer on my little blog. thank you so much to all of you who came on over and supported shauna, and to those of you who told others about it. i know she felt honored and blessed by all of you! 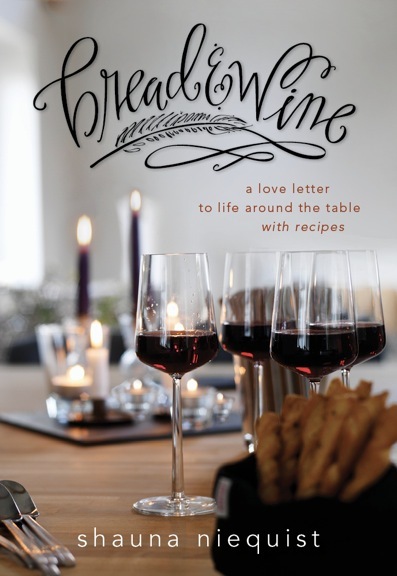 originally, i was going to give away a copy of her new book, bread & wine. but when i drew for the name of the winner, i accidentally drew TWO names. so of course i am more than excited for a reason to give away TWO COPIES of bread & wine! congratulations, y’all! i know you will love having this book. and for everyone else who entered, THANK YOU for supporting shauna and for supporting me and my little foodie blog. if you can, head on over to amazon and buy her book. you will be so glad you did. Thank you Lindsay!! Can’t wait to read this! !